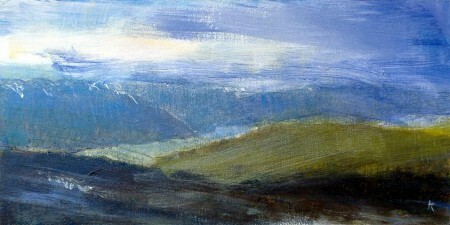 This painting is based on the splendid view one gets when on the grassy and heather clad hills above Loch Rannoch. It’s wonderful easy walking with huge views all around. << Previous Post: Show time!